Are you a first-time speaker? Have you noticed most of the audience checking their email during your talks? Are you speaking to a mostly-empty room, and not getting invited back to conferences? Do you walk out of the room thinking "that could have gone better"? Are you a brilliant technology inventor, yet at a loss when standing in front of an audience? Are you just regularly speaking at conferences, but have never attended a speaker training before? If the answer to any of the above is "yes", then you need to attend my speaker training at the Linux Collab Summit or at LinuxCon this year. I'll be reprising "Give A Great Tech Talk", the speaker training Ian Dees and I developed for Open Source Bridge -- with some improvements, additions and advances, of course! This session is strongly recommended for all new speakers by the Linux Foundation, and even experienced speakers can pick up a few useful tips. Since we'll have a longer timeslot for this than we did at Open Source Bridge, I'll be doing more audience exercises. If you're attending, please bring your notes and slides for some of your own presentations, and we'll work on them. Just a quick note to draw people to an excellent blog post about NoSQL databases and "Partition Tolerance". Emun Sirer points out one of the many reasons why "webscale" doesn't mean what you think it does, and how not all new scalable databases are the same. He doesn't say which specific new database is marketing features they don't really have, but I think we can guess, can't we? As of yesterday, the first PyPgDay is sold out. We're expecting between 130 and 140 attendees, which isn't bad at all for a one-day, one-track conference. If you haven't registered already, sorry! 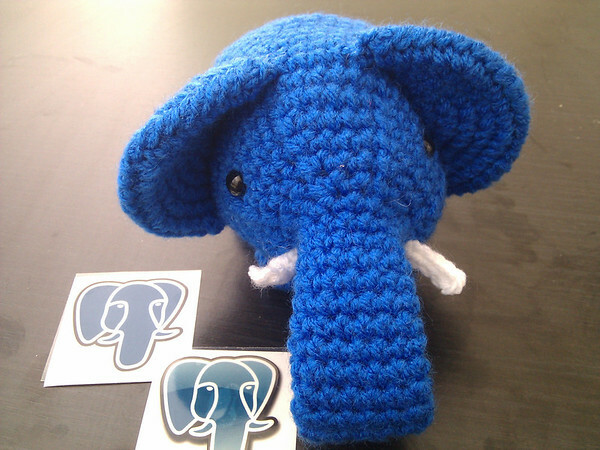 We've also added a fundraising raffle, thanks to Mark Wong making us another uber-cute elephant, so bring your cash. Drawing will be held at the Salesforce party. Too bad PyCon is in Montreal next year; we'll have to find another way to do a Bay Area Postgres event in 2014.